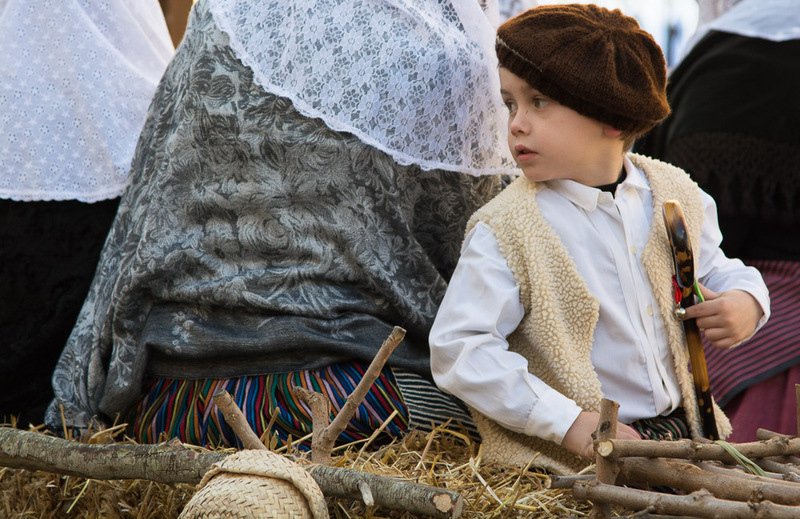 Something that has always impressed us, living in rural Mallorca, is the islanders’ passion for keeping local traditions alive. 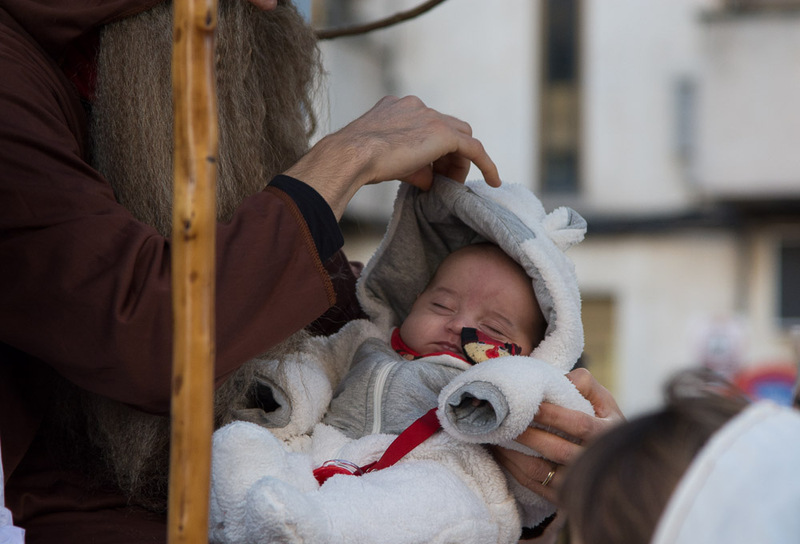 Young and old take part in the various festivities throughout the year – such as last weekend’s Sant Antoni fiestas. 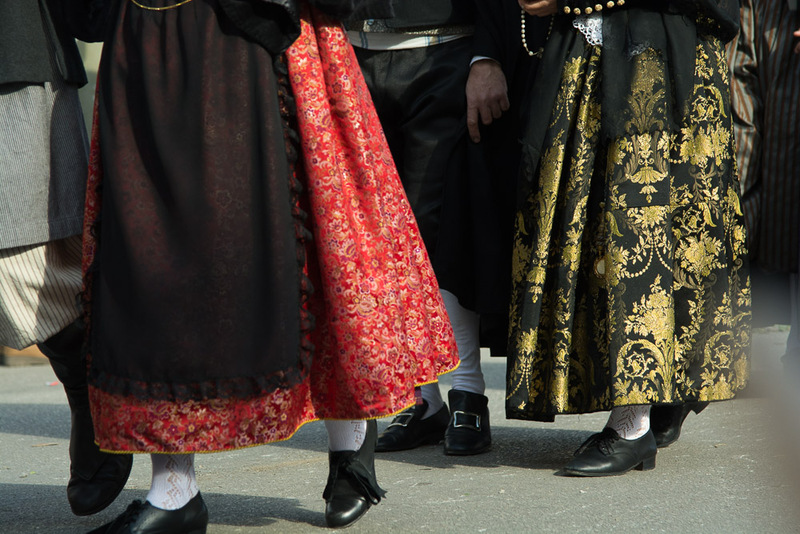 What particularly impresses me is the willingness of teenage boys and young men to dress up in traditional costume (which includes voluminous trousers), and engage in activities such as the local folk dance known as ball de bot. I remember a male work colleague in the UK ‘coming out’ to me about his Morris dancing hobby. He lived in the same village as us and knew that I was bound to spot him performing locally with his troupe, but asked me not to mention it to anyone else at work. 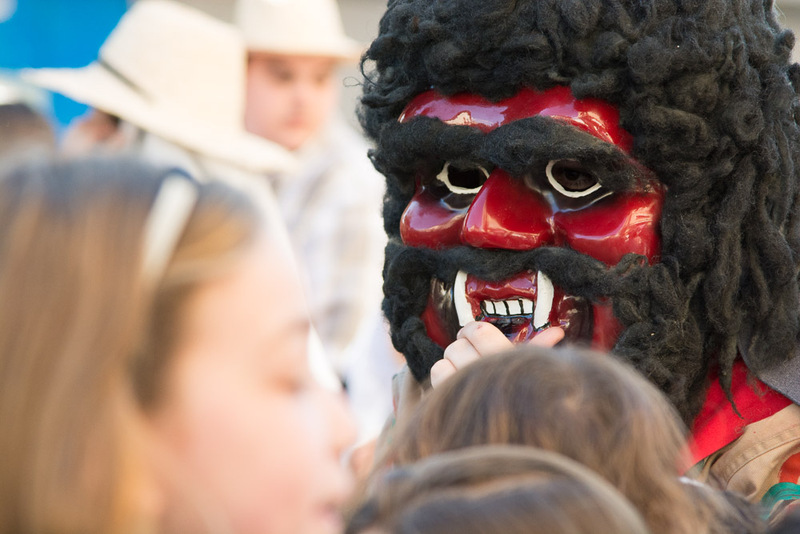 There seems not to be any similar embarrassment here among young guys who are doing their bit to keep Mallorcan traditions alive – and isn’t that great? 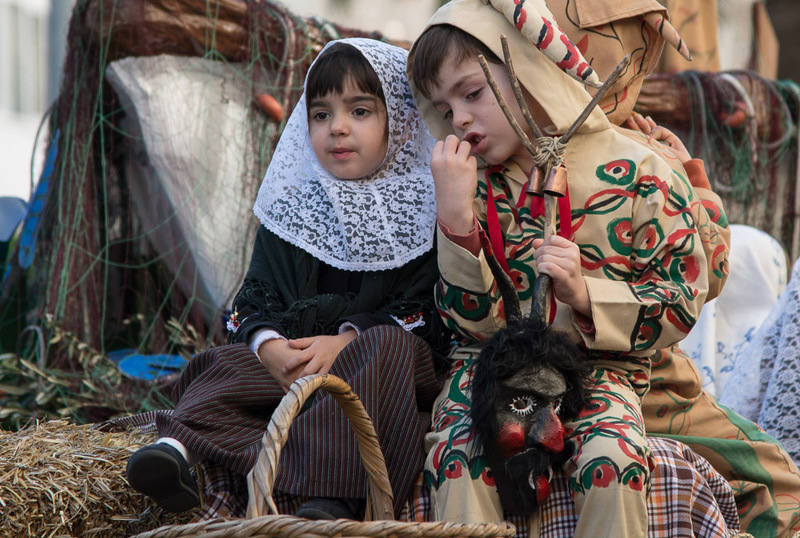 Last Saturday we attended one of the annual animal blessings ceremonies that take place around the island to mark Sant Antoni (January 17th). 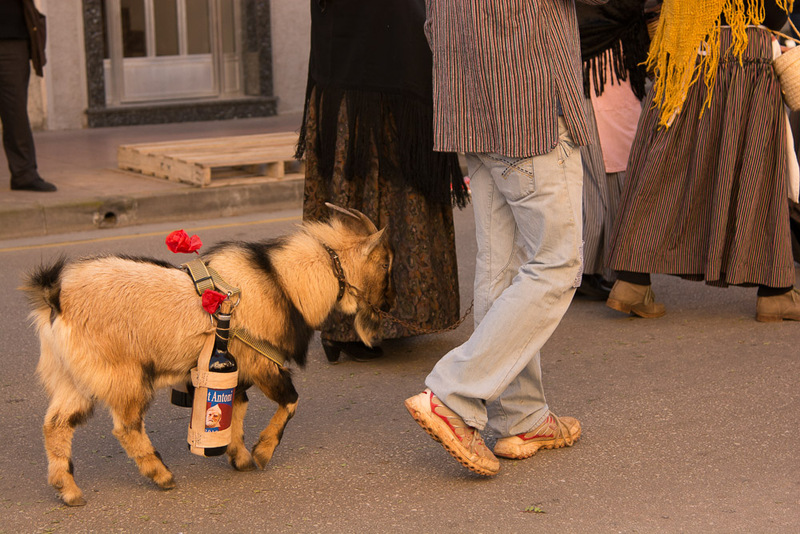 Locals take pets and farm animals and process through the streets to the place where the local priest is stationed to bless each one as it passes. He must have had a very sore throat by the time he blessed the beast at the back of the long queue . . .
Dimonis are everywhere – and some are pretty scary! Not a dimoni you’d want to meet in a dark alley! It’s a well-attended and charming event in Manacor, with plenty of cute “ooh” and “aah” moments. 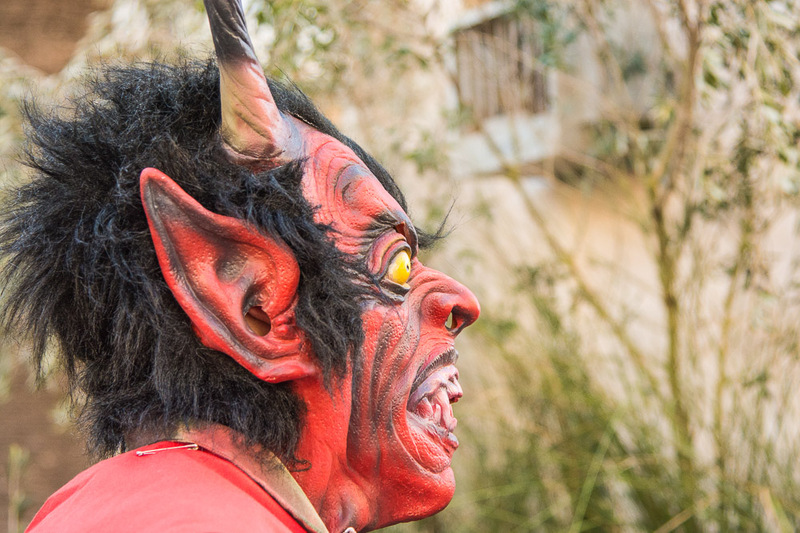 As well as individuals walking along with their pets, there are floats decorated with a rural theme and bearing people and farm animals, and the dimonis – or demons – that are a fixture at so many traditional events on Mallorca. The main streets are closed for several hours and lined with spectators – some of them seated on dining chairs brought out from their houses for more comfortable viewing. Sunshine meant it wasn’t too chilly for a chinchilla! 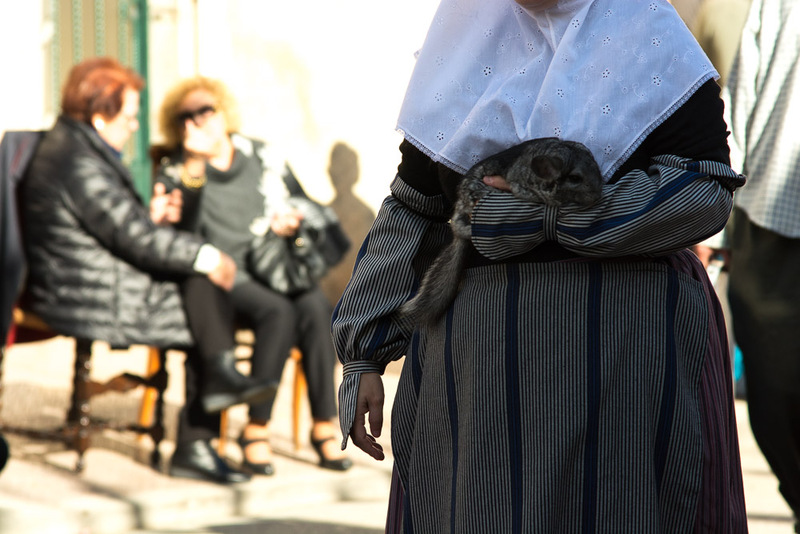 Among the many animals that the priest blessed in Manacor last weekend were a chinchilla, dogs in traditional (human) costume, cats on leads, and even a hawk of some type, perched on its owner’s hand. We also saw a rather handsome billy goat. As I write, some of the people who put so much effort into their costumes and decorated floats, will already be planning for next month’s big carnival weekend . . . another great tradition embraced with gusto. Please note that all photos on http://www.livingonruralmallorca.com are my own unless otherwise stated. I admire this tradition. But that’s probably because I am a lover of all animals. 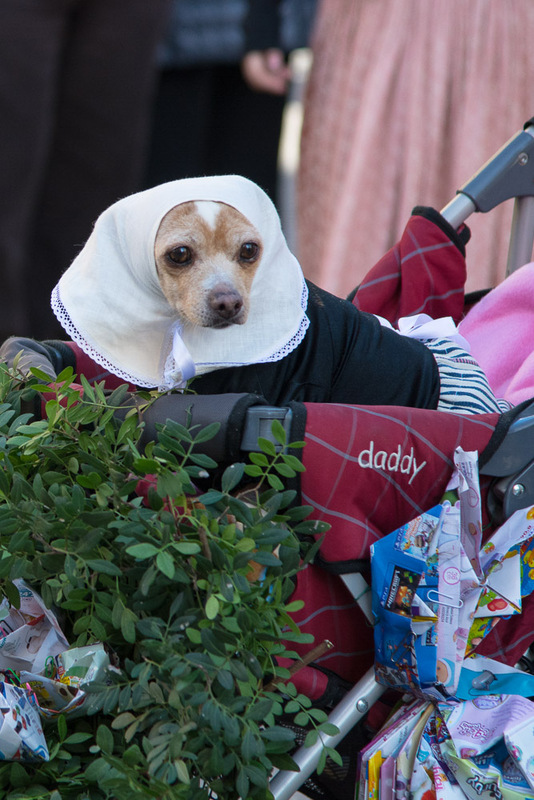 Where did I get the idea that it was St. Francis who blessed the animals? Looks and sounds a fun fiesta! It is great – certainly worth a visit. Thanks for reading my post, Karen!